In this unit Volent Engineers have produced their best price/performance speaker. With its patented twin-ribbon tweeter and 6" die-cast woofer it is designed to produce a rich and deep sound image of ample spectrum. The patented twin-ribbon tweeter extends the unit's response from 35 to 50KHz. 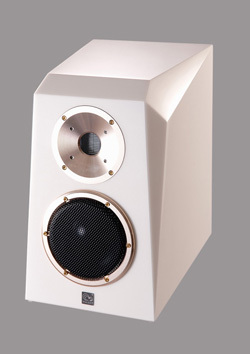 The 6" die-cast woofer fed through our own design cross-over produces uncompromised bass in an incredibly small housing. All Chorale CL-2 has been finish with outstanding quality wood board, 100% wool filling, specially design vertically placed crossover for minimize crossover vibration. The CL-2 is available in 3 different colours, Black, Pearl white and Mahogany veneer with specially treated high-gloss finishing.